If your son or daughter is enthralled with construction and building things, then a construction themed party can be right up his or her alley. Planning and putting together this theme can be as fun and exciting for you as it is for your child because it gets your creative juices flowing. Set the tone for the party from the start with the right theme invitation. You can choose creative options that range from simple to complex. 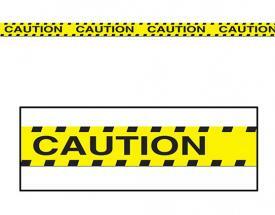 Wrap any of the invitation choices in caution tape or caution streamer. Buy bright yellow, white, and black cardstock. Cut the bright yellow cardstock into the shape of a construction sign. Generally, it is square turned at an angle. Glue a piece of black construction paper that is smaller than the yellow cardstock onto the bright yellow cardstock. Print the party details on the white cardstock using your computer and glue it on top of the black cardstock. Wrap a sand pail with caution tape. Hang a tag from the tape that says your child's name along with "Birthday Party." Attach the shovel to the sand pail handle with ribbon or raffia. Slide the printed party invitation inside of the pail. Hand deliver or ship the pail and shovel invitations in boxes to the invited guests. The kids can bring the pails and shovels with them to the party to play and participate in the games and activities. 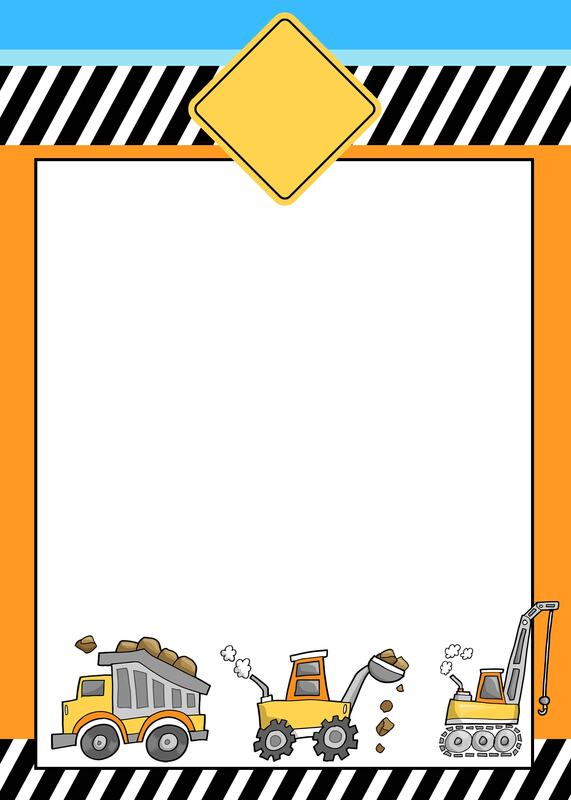 Construction border: Download a construction theme border and add it to your word processing or graphics program. Fill the party details in text inside of the border and print onto blank white pre-cut card stock that comes with envelopes. Dump truck shape: Cut cardstock in the shape of a dump truck. Print a basic dump truck graphic onto cardstock or trace a dump truck shape from a coloring book and then cut. Print the party details on to a piece of cardstock that fits on to the dump truck and glue the party details card to the truck. 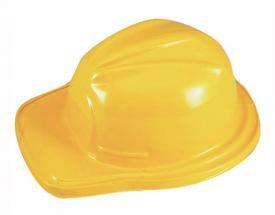 Construction hats: Buy child-size plastic construction helmets. Print the party details on to cardstock or use one of the previous ideas for providing the party details. Hand deliver the helmets with the party invitation. Let guests know they can wear their helmets to the party. From the entrance to the exit, set up some decorations that make attendees feel as if they are in a fun and safe construction zone. Decorations are a big part of what will make the party truly dynamite for the guests and birthday boy or girl. Add caution tape to areas that surround broken "blocks" and "bricks" you can make out of cardboard boxes for decoration. 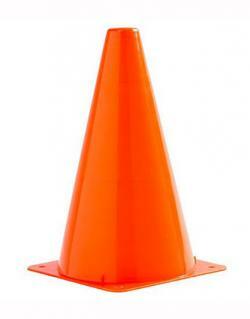 Set up a construction zone obstacle course complete with orange cones. It can double as a fun activity for kids to run through as well as provide decoration to the area. Include a few large tires to climb over and some cardboard bricks to weave around. Hang various construction signs and caution tape along the party tables, food table, cake table and gift table. Use cement blocks or big rubber tires to build the pedestal of the table. Stack the cement blocks or tables in two columns to the desired height. If you have access to saw horses, you can use two saw horses to accomplish the same look and feel. Place a piece of plywood or tabletop on top. You can use the construction table to display food or for guest tables with chairs. Make sure cement blocks are large and sturdy enough to handle the weight of the table's items and children bumping into them. Similarly, sand down the plywood to be sure children don't get slivers. Line the party area with orange plastic fencing. Hang construction signs on the fencing. Use purchased signs or make your own personalized signs with poster board, and markers. Phrases to use include "Sam's Birthday Zone" or "Helen's Hard Hat Area." Hang a banner over the food or cake table. You can also choose to hang it on the front of one or both tables. 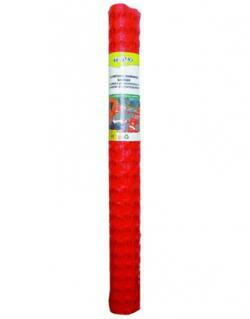 Buy a construction theme banner at local party stores or online. Alternatively, download a free printable construction party banner and print onto cardstock. Cut out the banner letters and attach to a party streamer, string, or raffia to hang it. Decorate the guests party chairs with caution tape. Tie it in a knot bow around the back of each chair. Use bright yellow, orange, and black chairs to stick with the construction theme colors, if possible. Space the games and activities throughout the party. Games provide more of a structured party, while activities are options for the children to participate in when and if they want. Foreman Says: Foreman Says is a construction-themed variation of Simon Says. Appoint someone as the "Simon" or "Foreman" of the group. Line the kids up and have the foreman shout out instructions on what he wants the kids to do, such as, "Foreman says touch your nose." If a child completes the instruction when the foreman doesn't say "Foreman says" before the instruction, then that child is out of the game. This continues until there is only one child left. Give the winning child a prize, such as play tool belt set or a toy dump truck. Shovel It: Provide a bucket, cotton balls, and a little plastic shovel to each child. Put on the blindfold and hand them the shovel. When you tell them to go, have them shovel the cotton balls into the bucket. Have them do this for a set amount of time - about 15 or 20 seconds. The child that fills their bucket first or with the most cotton balls in the time limit wins. They can take home their own sand pail and shovel set as a prize. Wheelbarrow Race: Break the children up into pairs. Have one of them become a wheelbarrow by crawling on their hands while the other child holds their feet. Set up a start and a finish line. Whoever crosses the finish line first wins the race. Cookie construction table: Set up a "cookie construction" buffet table where kids can decorate their own tool-shaped cookies. Prepare the tool-shaped cookies ahead of time using cookie cutters. Place frosting, butter knives/spoons, sprinkles, and candy, such as licorice whips, the kids can use to decorate their cookies. Sandbox: Fill a sandbox or a child's pool with sand. Add construction toys, such as shovels, pails and toy dump trucks. Let the children dig, scoop and move the sand around in the box. Lego table: Set up a Lego table. Fill the table with Legos. 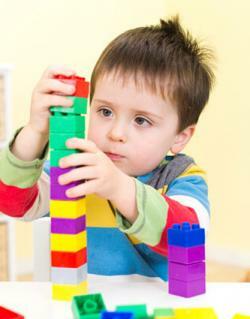 Allow the children to wander over and build their own creations. Hold a contest and award prizes for the best build and the most creative build. Create a kids' party menu that not only features their favorite foods, but also includes some fun themed touches. Fill a pail with "screws, nuts and bolts," which can be chocolate covered raisins, Cheerios, pretzels, and other foods that look similar to these construction staples. Add a small shovel so the kids can dig out the snack mix. Make or buy cake pops from your local bakery. Round cake pops can simply be yellow, orange, and black; you can also get ones in the shape of construction trucks. Display the cake pops in a pail full of play sand covering a piece of foam. Buy bright orange, yellow, and red juice or soda. Serve the drinks in clear plastic cups so that the colors of the drinks add to the theme of the party. No party is complete without a birthday cake. The cake can be in the shape of a dump truck or hard hat. In lieu of cake, you can opt to serve cupcakes with picks featuring construction themed items, like dump trucks. Favors can be a fun activity in and of themselves, where kids dig up their own delicious goodies, or as simple as purchased trinkets or premade treats. Fill apothecary jars with bright colored candies. Put bright yellow candies in one jar. Place bright orange candies in another. Fill yet another with black or dark brown candies. Supply a plastic shovel or metal scooper in each apothecary jar. Set up a candy buffet that includes cellophane bags and ribbon. Allow the children to fill their cellophane bags with scoops of candy and tie it off with the ribbon. They can enjoy the treats at the party or take it home to enjoy later. Attach a tag to each favor with the name of your child and his or her birthday party date on it. 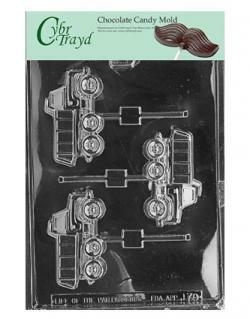 Lollipops: Use dump truck lollipop molds to create chocolate lollipops the kids can take home as party favors. Wrap each lollipop in cellophane and tie it off with a piece of caution tape. Toy vehicles: Buy small toy construction vehicles to give away. Kids can play with the trucks during the party and then take them home to play with later. Bubble gum tape: Add pails or buckets of bubble gum that unrolls from a tape dispenser to a table at the exit of the party. Have each child grab one on his or her way out or assign an adult to hand out the favors as children depart. 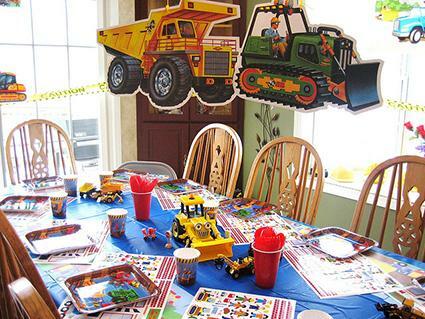 When your child digs construction zones, you can easily turn his or her birthday party into a dream party. Use these ideas and allow your imagination to run wild to weave the construction theme, starting with the invitations through the favors guests take home with them.